Well unless you have been living under a rock the last week, you probable already know that during the last week two interesting natural phenomena happened. The first was that we have truly moved into summer here in the northern hemisphere, with last Friday June 21st being our Summer Solstice. The second being the over June 22nd & 23rd we got to see a “Super Moon” This means that the Moon was at perigee — or at its closest point in its orbit to Earth, and was 14% bigger and 30% brighter than other full Moons of 2013. 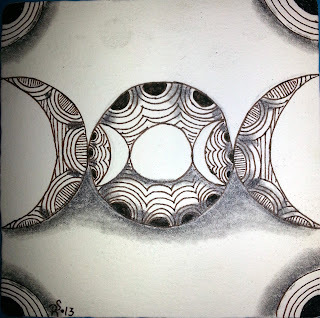 Well with all of the Talk about the “Super Moon,” I figured it was time to make the 1st Tangle taught in many Zentangle® classes, the focus of this weeks Adventure. The tangle is Crescent moon, a tangle I had been holding back for a special occasion, and I guess this week is it. This week I am also beginning something new with the Adventure. I will be creating a Step-out for the Tangle, used in the adventure. At the top of the Blog is a new Tab called “Step-Outs,” all of the adventures will be listed there with a Link to the Step out for the Tangle from that adventure. Here is the Tile I created to this weeks Adventure, and the Tangle from the Step out card. Tile for this week adventure. 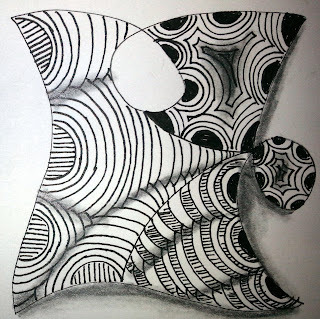 Tangle done on my Crescent Moon Step-out. A link to the Step-Out page is Here. A link to the Tangle Patterns Crescent Moon page is Here. I hope you join me in this weeks Adventure, come give Crescent Moon a try. Not much of summer here this year; today it's only 14 C, so quite cold. 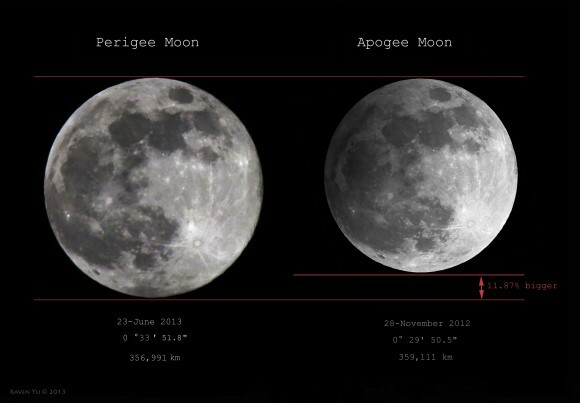 I was very sorry that in the night of this huge moon there were so many clouds that it was not possible to see. Did you had a chance to see it? Cresent Moon is a great tangle that I always come back to in many tiles. So thank you!!! By the way; your tiles are beautful and I love the design you made. Thanks you. Yes i did at least get a glimpse of the super moon. it was cloudy here, but they parted for a few moments when I was letting the Dog out. 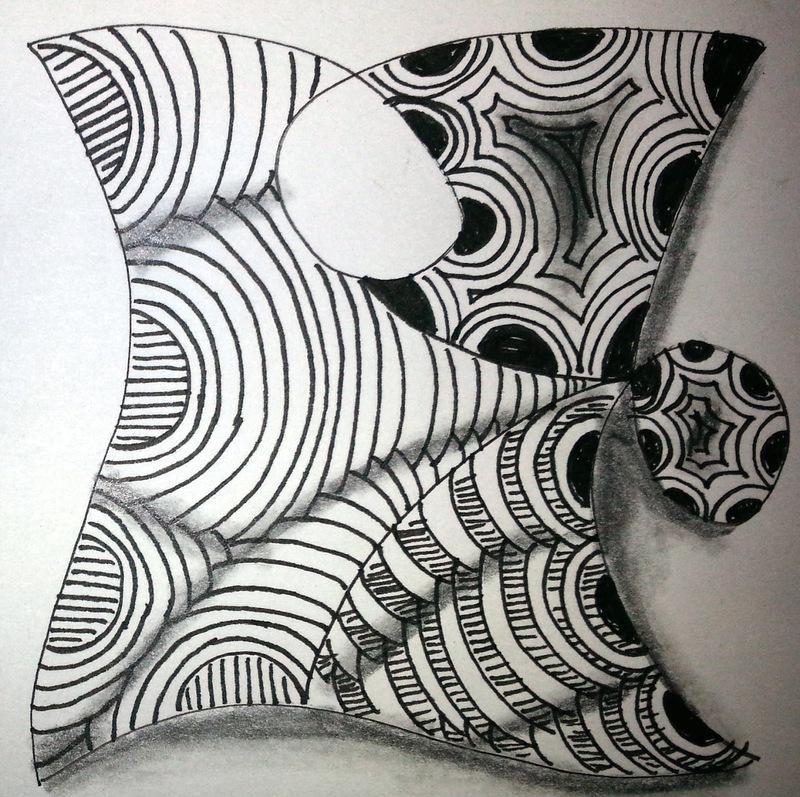 Your zentangles are very fine. The first one has very amaising desing. Loved your tile, but this isn't one of my favorite ones, but I persevered anyway. I'm always up for a good challenge and you do have a good challenge site for us to play at. Thanks for all your hard work. Love the design of your tiles. Got to get mine posted! Thanks for another great monotangle Roy! I use this one a lot in my work. Love looking at what everyone does with it. Very inspiring! Thank you for this interest Adventure. I´m new here and I had fun to draw my tile. Your tiles are beautiful.